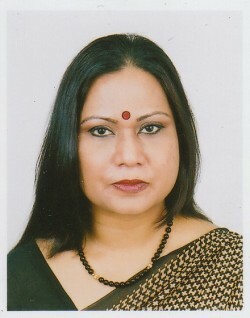 Ismat Jahan is a career diplomat of the Bangladesh Foreign Service. She is currently Bangladesh’s Ambassador to Belgium and the European Union with concurrent accreditation to Luxembourg. She served as Permanent Representative of Bangladesh to the UN in New York with concurrent accreditation as Ambassador to Peru and Chile (2007-2009). She has distinction of being the first woman Permanent Representative of Bangladesh to the UN. Her first Ambassadorial appointment was to the Netherlands (2005-2007) with concurrent accreditation to Bosnia-Herzegovina, Croatia and Poland. Specialized in multilateral diplomacy, Ambassador Jahan has a focused interest in human rights and disarmament and issues concerning advancement of women and their rights. In 2010, Ms. Jahan was elected to the UN Committee on Elimination of Discrimination against Women (CEDAW) for a four year term (2011-2014). She is member of a number of working groups devoted to drafting general recommendations. Her specific area of interest in the Committee includes concerns relating to trafficking in women and their exploitation as well as rural women. Ambassador Jahan holds a MA in Economics from the University of Dhaka, Bangladesh and a MA in Law and Diplomacy from the Fletcher School of Law and Diplomacy, Tufts University Boston. She also holds a certificate with distinction as a Fellow in the school of Foreign Service at Georgetown University in Washington, D.C.